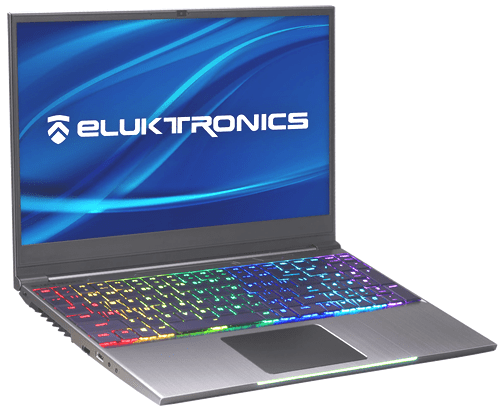 Eluktronics sell laptop computers with premium gaming performance. OK, what’s up with the Eluktronics Mech 15G2? What? Haven’t you heard of it? That’s alright, they are a non-standard computer company that’s more like a boutique, but that’s OK because this time they have something really cool. Let’s break it down a bit. The thing that this guy has going for him is this return to the mechanical keyboard feel. It has a very unique mechanical feel to it. It’s very, very tactile. 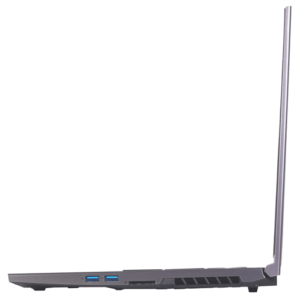 But aside from that, it’s a bare-bones laptop. If you’re wondering if a more mechanical keyboard will help you become a better gamer, the answer is probably, “no”. You won’t help to notice that the arrow keys and the keypad are configured a little non-traditionally as well. There is no negative space between them as found on a more standard setup. The trackpad delivers. It uses Windows Precision drivers and there’s nothing to dislike about it. 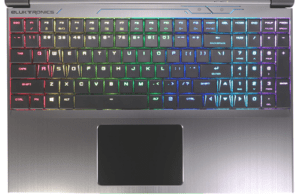 As far as backlighting is concerned this keyboard deck has you covered. It oscillates the rainbow for you if you want. There’s also a light strip on the front of the keyboard deck that gives you a more of a personal feeling to the computer. That’s what they say. For me, it’s just another light upfront that I don’t need and I would rather not spend my battery there. To make good use of the screen you need to have good gaming performance, and this thing delivers. 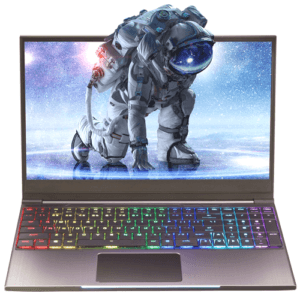 The GPU is a GeForce GTX 1060 and it has an Intel i7-8750H Hexa Core, so you won’t be able to get super top-end performance. Because of that 144Hz, you will be able to play almost all high-end titles with maybe the exception of Witcher 3. For the most part, you’ll be covered. Since this is a no-name type fo company, the one thing that shocked me was that the thermals on this device are quite good. What makes that special is these guys are a small company that sells way less product than the super-bigger corporations that have the money to invest and still delivers poorly in the thermal department. There is plenty of ventilation on the sides and the bottom. The speakers are generic so they just kind of give you that generic, accpetable sound range. But that’s easily looked over when you consider how well thermally managed it is. Port selection is decent and they are not set up like a standard device. Instead, they have put some of the inputs on the back of the machine.’s keyboard deck. You’ll find that handy when you have your power cord just going straight out the back then running up the side of your machine. Plus, it eases the physical cord’s connection, resulting in longer use and more reliable. Another kind of unique feature is its dedicated Turbo button for the thermals. When in turbo thermal-mode the fans are quite loud, but they give you incredible cooling when you need it most. 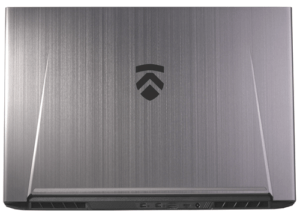 The build quality on this laptop has some good points and some not so good ones. 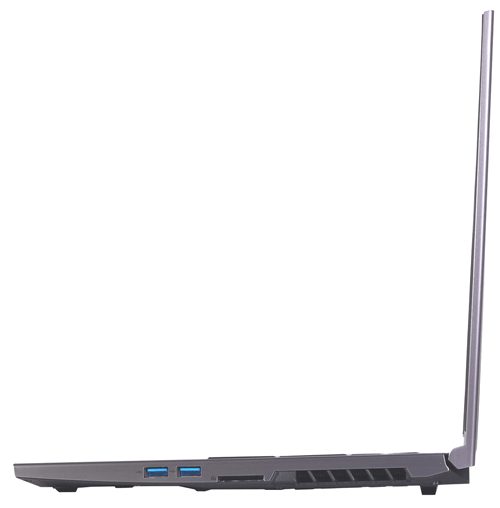 To begin with a good point, the top lid and the keyboard deck are aluminum and quite sturdy and seem to provide protection where it’s needed. The bottom panel is a plastic piece, but it’s a well-made plastic. Now, if I am going to nit-pick a little bit I am going to wonder happened in engineering when they left the edges of this device unfinished. They aren’t sharp or rough, but they just don’t look or feel like a lot of other aluminum products out there. 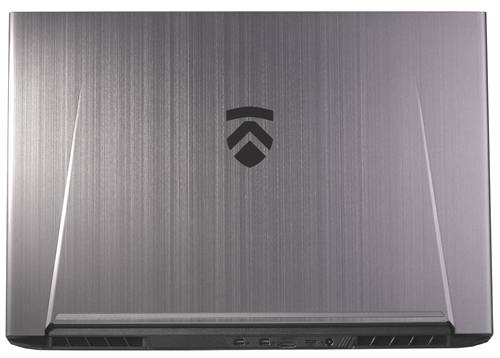 Some people might the find the design of the laptop to be, well, dated. Not that it’s ugly or anything, but it just doesn’t have that super modern look about it. Both of these negatives about it are personal preferences, so many of you will be just fine with them and not even notice or care. The battery life is pretty short with 2 – 2.5-hours with half-brightness on the screen. it’s only a 45 watt-hour battery pack. So, if you are and about it would probably always be best to have your charger with you if you plan on using your laptop for the day. At the end of the day, you want to know if it’s worth it to pick up. Here’s the deal. If you really, really want the mechanical tactile feedback keyboard experience like none other, then yes, this is for you. But be aware, just because you like its feedback and maybe the loudness doesn’t bother you, the people around you may disagree in public areas or areas that should be quiet like a classroom or meeting room. You would need to be cautious and courteous in your behaviors. So, for $1,200+ USD you really need to be sure about the keyboard importance. It’s not overpriced, but it’s not cheap either. It’s fairly priced especially for what you get, but if you get it and can’t use it in your most needed times, maybe it’s not for you. Only you know.